Engaging Families in Early Childhood Education - The First Rule is Relevancy! The First Rule Of Childcare Engagement? Relevancy! It’s not just children who benefit when families are more engaged with their development and growth. 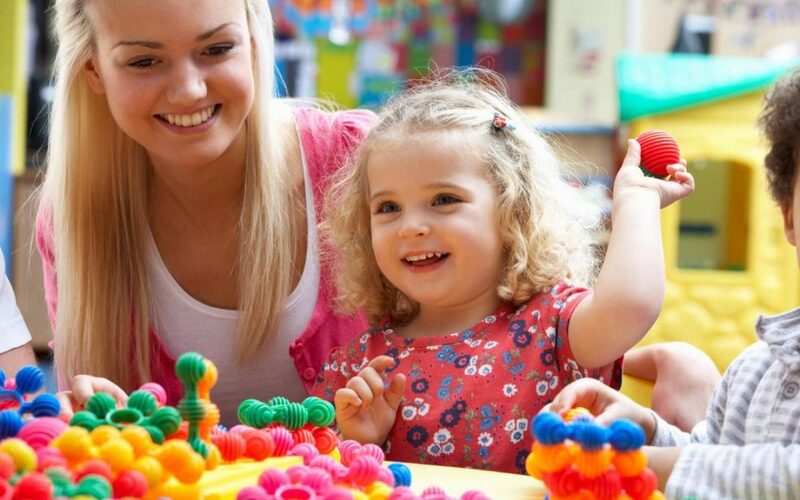 Childcare centres that engage families with what they do build better relationships. Educators, who spend so much time with their children, get to share with families what they see happening in the classroom on a daily basis. Sometimes the answers to the complexities of how to engage a family and invite feedback are found in the simplest of places. But, as with most forms of communication, there are Rules of Engagement. When it comes to building a response rate, ‘relevancy’ comes first. You want to understand? Ask questions. Often the process of early childhood documentation can come across as ‘educators’ business’. Asking relevant questions gives parents/families a way to engage in the process, making it extremely useful. Educators documenting a child’s learning need to make it easy for families to share in and respond. Often the best way to get a reply is quite simply to ask a question. Open-ended questions are always better but even simple ‘yes’ or ‘no’ questions could spark a response. Relevant insights like this not only connect the family with the child’s experience, it invites them into a conversation that is fun and personalised to them. And feeling involved has a positive impact on the response rate too. Using the family’s names and addressing them correctly also makes them feel valued. This assists in maintaining strong relationships with them and enhances the very important face- to-face communication that centre managers and educators may already have. Personalise communications to the family. However you communicate with them, speak in an accurate and relevant way to parents about their family. Share what you can in a secure environment. Many educators now are able to upload photos and videos, tag children, rooms and learning outcomes in a way that personalises reports, making it a fun way for parents to feel connected. Giving families a very real insight into their child’s day enables them to engage with their child’s growth and development. Ask a question and invite the families to engage in the conversation, get to know you educators and the centre’s day-to-day workings and efficiencies. Help them gain confidence and you will help build positive relationships. Bridge the gap between childcare centre and home. Do whatever you can to increase the opportunity for families to engage in their child’s learning with relevancy, at the same time providing valuable feedback to the child’s educators and seeding the learning process into the home. A win win for the Centre, families and children’s learning outcomes. For information on how Kindyhub™ assists educators to document, share and engage families, contact us or call on 02 8916 7421.